Get your wallet ready for all the adorable collaborations dropping this Summer! 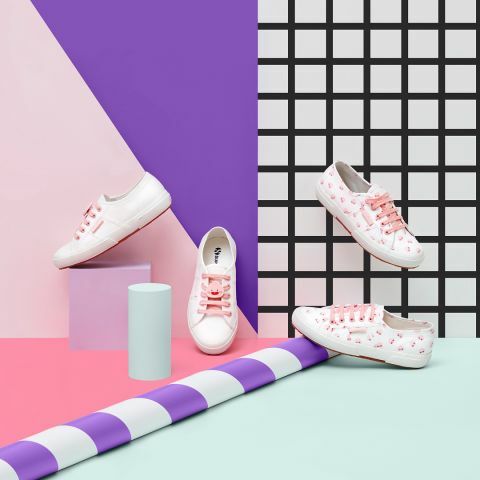 KAKAO FRIENDS is collaborating with SUPERGA Korea to launch a special collection featuring their best-selling model last summer – 2750. The lightweight canvas model is elevated with designs featuring popular KAKAO FRIENDS characters – Ryan and Apeach. The Ryan version comes in low-key black with bright orange accent and shoe lace, whereas the Apeach version is white with all over Apeach prints and pink shoe lace. Dropping in May, head over to SUPERGA.co.kr for more details on the launch date. Also, remember to sign up with us to gain access to our Korea warehouse!